After a few days of holidays, the weather is getting hotter and hotter. It is season that we are prone to get tired easily. Freshman students started to get accustomed to campus life with Judo club. In this time of glory and prosperity, it is view of our teachers that the fitness and safety of all members in our Judo club be of paramount importance. Today, Yubikan has been made brighter by the presence of alumnus Tanaka (H27 graduated) and Mr. Park. Today’s practice was done as usual with balanced menu with Newaza and Tachiwaza. As the number of our judo club increased in great dill, the chamber and Dojo were crowded and we were able to practice Judo with vigor. After the basic stretch, we practice Ukemi as always to evade accidents and to strengthen our body for Randori. During the Newaza Uchikomi, senior students gave a piece of advice to freshman students so that they can improve their skills. By the time we were in Newaza Randori, we were astonished at the sight of the remarkable growth in Judo skill of freshman students. 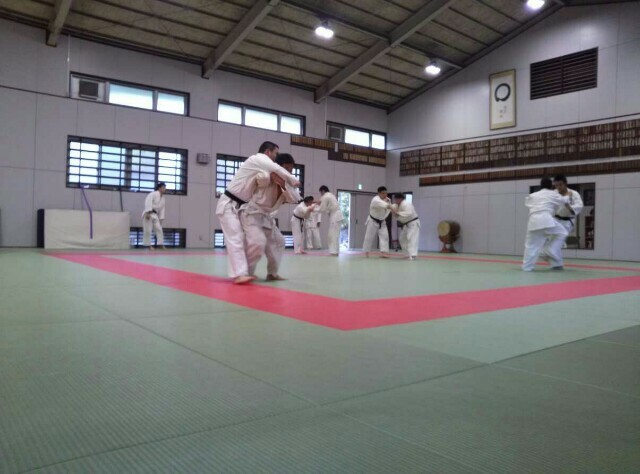 After Tachiwaza Uchikomi, it was Randori that was main part of our practice. Owing to lessons from many alumni and teachers, we were able to touch useful skills. I think we tried those skills out during the Randori. There might be trials and errors, but by utilizing what we have learned, I believe we can reach higher stage of Judo. At the end of the practice, with alumnus Tanaka, legendary warrior of Hitotsubashi, graciously listened to our please, we had an opportunity to learn more regarding how to evade Kesagatame and Yokoshihogatame. 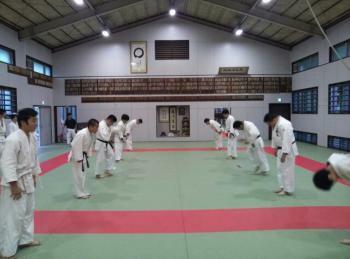 Alumnus Tanaka’s reputation on Newaza skill was so legendary that even members of Tohoku University Judo club wanted to learn from him. His secret had been under the veil. Now, the events set into motion so long ago will be made complete. Osaekomi is the side of assault in Newaza, while evasion is the side of defense in Newaza. Indeed Osaekomi and evasion are but opposite facets of a greater whole of Newaza. At long last, my comrades, our searching is done. Soon, we are going to utilize this skill directly. 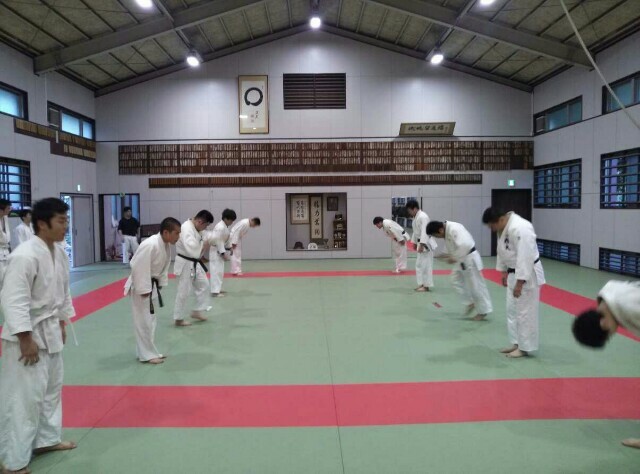 Tomorrow, we will practice Judo and learn more of muscle training from the coach Nakata. I hope this will be a chance for us to improve ourselves further.